To see a sample entrance exam click then print. To identify flesh eating bacteria click here. 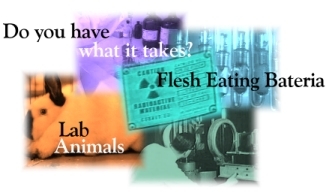 To save one of my lab animals click here. Teacher's Click here for lesson plan information.